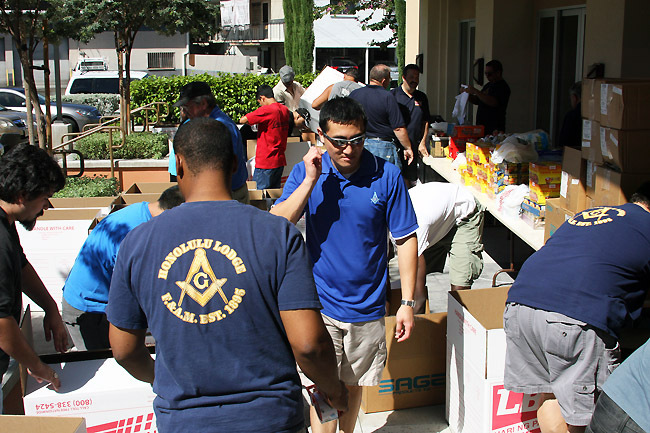 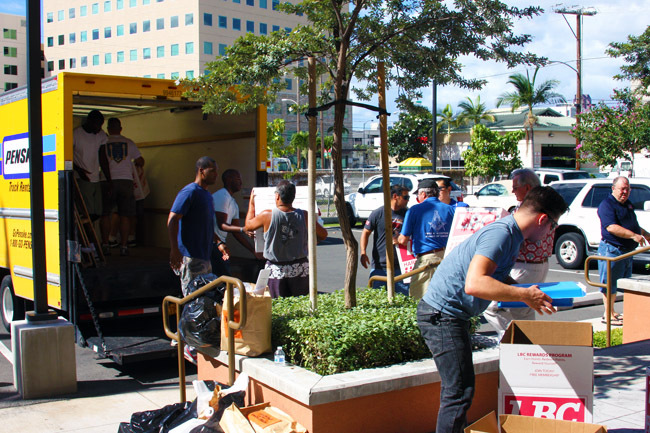 On Saturday, November 23rd, 2013 brethren from throughout the Hawaii Masonic Jurisdiction rallied to provide relief for the victims of super typhoon Haiyan. 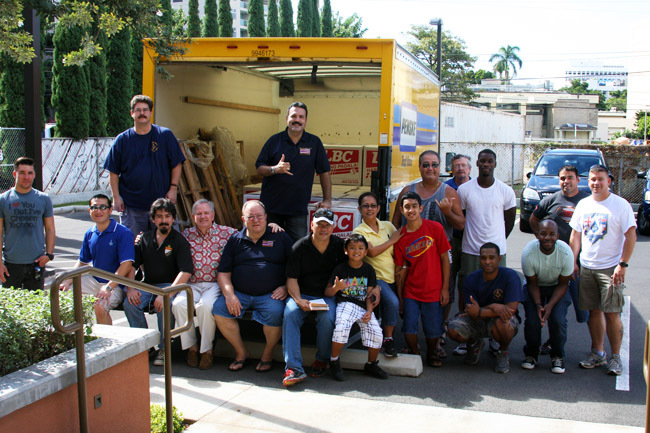 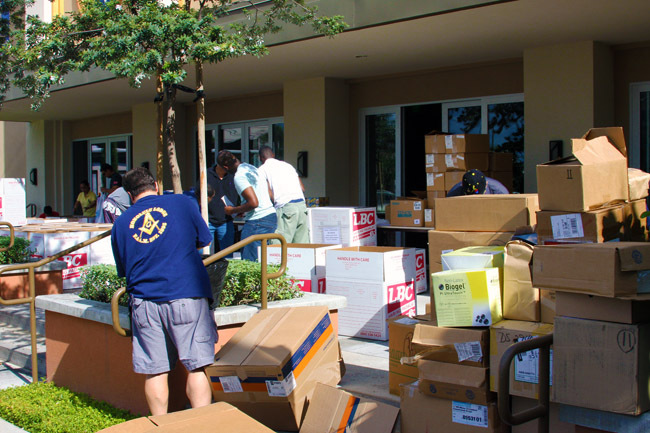 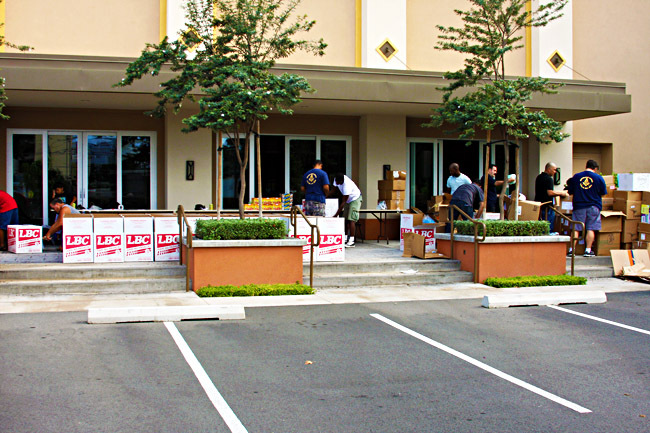 Within just four hours the brethren collected, packed, and shipped 80 boxes full of medical supplies (thanks to Tripler Army Medical Center), canned food, toiletries and clothing. 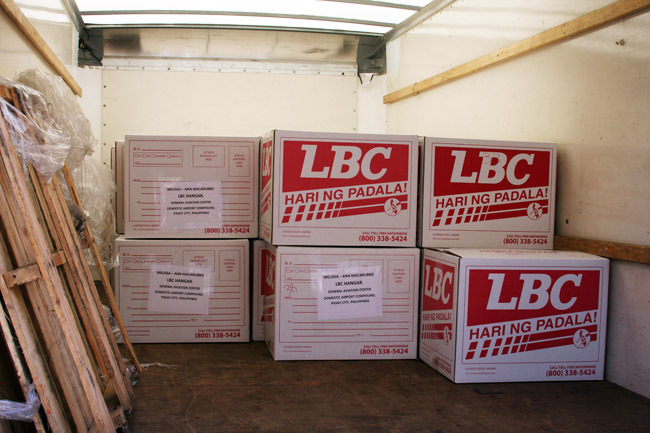 LBC Hawaii was kind enough to provide the brethren with free shipping supplies and shipping services to the Philippines.